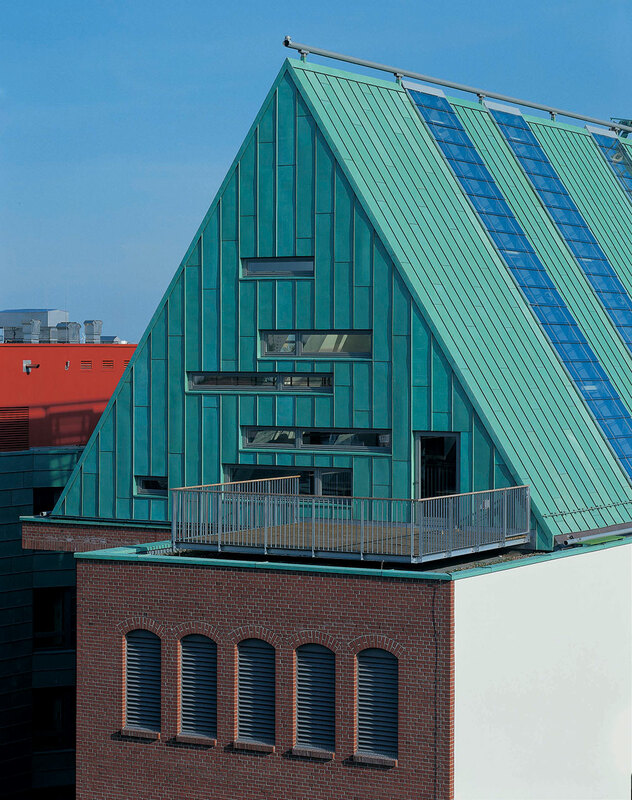 The Stadtlagerhaus is the conversion of two historic warehouse buildings completed in 2001. This residential design on the Elbe River in Hamburg was initially part of a harbour master plan by Alsop in the 1990s, which also saw the construction of a new ferry terminal. A glass cube rises out of the new development between the two buildings. The former silo now houses a restaurant on the ground floor and a large terrace on the riverbank. The upper five storeys have been converted to studios. The three-storey foyer and elevator are visible from the street on the northern façade. Analogous to the traditional loading balconies of the old warehouse, blue glassed-in steel balconies were added. A four-storey glazed apartment block has been added on the cornice edge of the original red-brick warehouse. 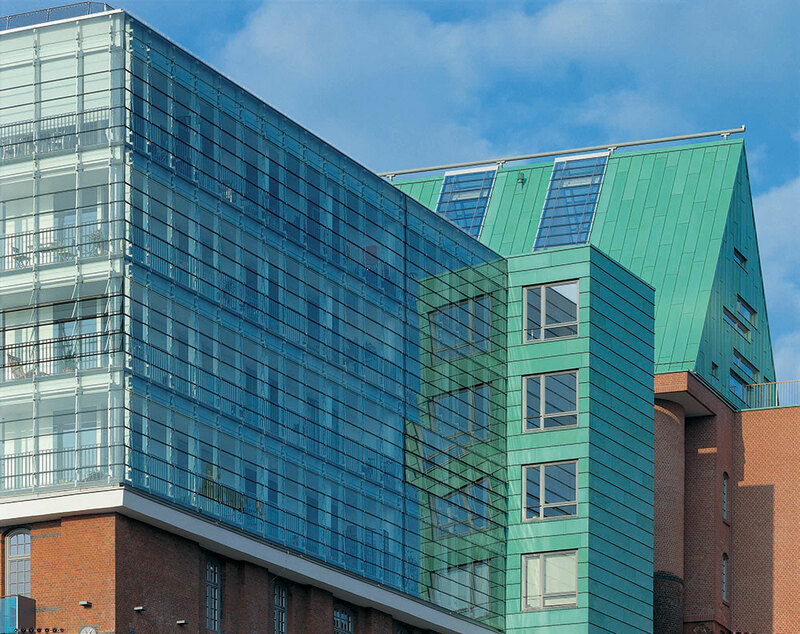 The west facade and the central access on the north side of the building are cladded in Patinated copper sheets with horizontal double standing seams. The vivid green of the copper marries well with the green glass and the terracotta. The sensitive renovation and subtle yet striking intervention reinvigorates street life. The wood docks, named after the original type of fixings used in their construction, were built in 1724 and once served as an emporium for fish and grain. The challenge was to assimilate the character of the old dock district with contemporary living. The completed building has become a landmark on the city skyline.